Welcome to Spinotron's Personal Collection! I am a fan and card collector of Kobe Bryant and Michael Jordan. This webapge is dedicated to showcase my personal collection. Please check out pairing section which has been my most recent work. A quick glance at the highlight below will show you I am into 90s inserts and parallels, 03-04 Exquisite, some fairly recent releases. Those cards shown all belong to me. Please enjoy the super-clear pictures by clicking on them, but please do not use them without my permission. All the objective information about cards in my comments are meant to be accurate and up-to-date. Please inform me if there is any error. If you want to discuss, have feedbacks, or have cards which I need in the Want page or which would fit my collection/improve pairing, please contact me at the Contact page. Thanks a lot for looking. Come back often to check updates. I have always been a NBA fan and was lucky enough to catch last two seasons of MJ at Bulls. I was impressed and won by Kobe's performance at 97-98 NBA All-Stars game. So I am a fan of both MJ and Kobe. But I like Kobe more and follow him through thick and thin. I like his determination, being a leader, desire to win, clutch performance, hard-working, unbelievable skill sets and charismatic personality. I opened a few packs back around 99 and pulled a Carter 98-99 Metal Fusion Titanium /40 RC. Around that time I also read and re-read many times on two issues of Beckett magazines and I really liked the non-price guide part. 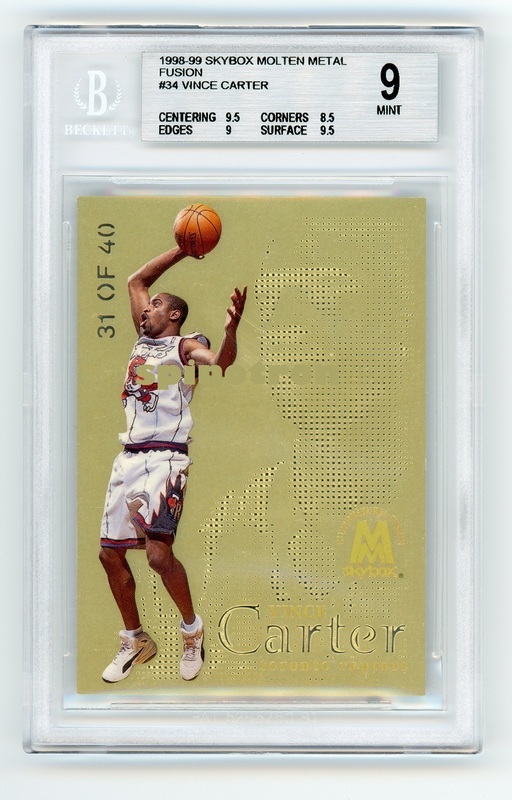 BGS graded card ads and Kobe's Topps Chrome RC also left me an impression, whilst Carter numbered RC cards was the hottest then. I then moved on from my humble experience with hobby and was absorbed in my study and work for next ten years or so. In 2010, I was interested in collecting some Batman comics randomly, then I was drawn into CGC graded copies. Then I recalled Beckett graded cards and Kobe's Topps Chrome RC. Then I keyed in ebay's search and my journey of card collecting thus began. I prefer quality to quantity, and prefer being exclusive to exhaustive. 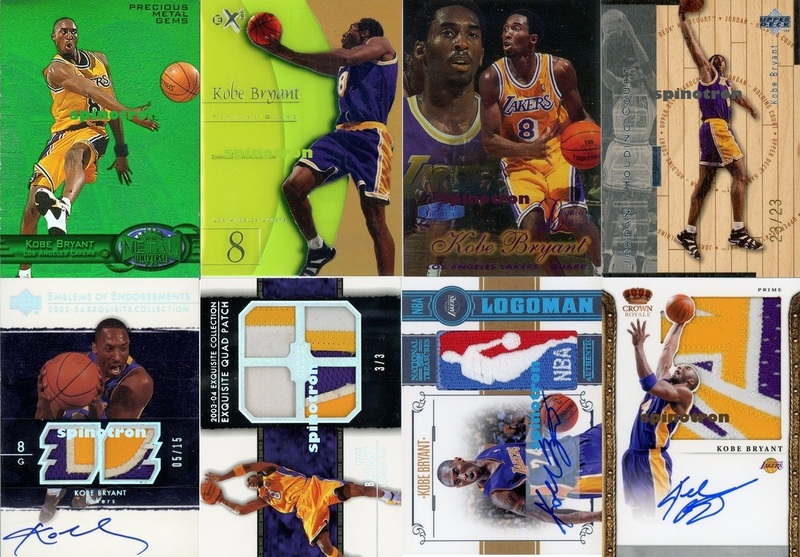 Gradually I have built a Kobe PC, partly for nostalgical values and partly to become closer to the game. During this process, I have learned how to do research and locate rare items, learned market and negotiation, and most importantly got to know several friends with common passions and tastes. Amazingly, two dimensional cards lead to such a multi-dimensional world of fun.